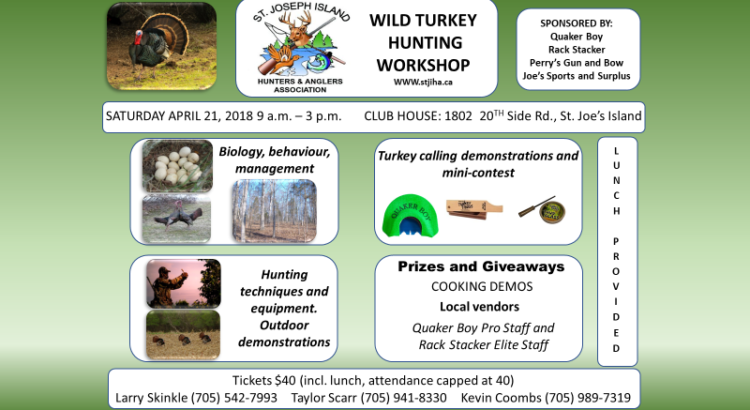 At this workshop, you will gain practical experience and knowledge about hunting and harvesting wild turkeys. This (outdoor, as far as weather permits) workshop is popular: register soon, so you are not disappointed. Despite our wintry weather, the Turkey Workshop will be at the Conservation Centre. Only the Gun Show and Outdoor Day on Sunday has moved to the Legion.